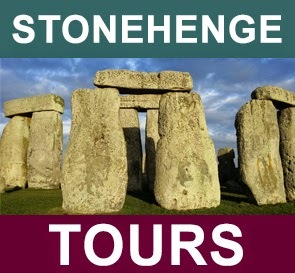 The Stonehenge Tourist Guide. : History and Mystery - What are Ley Lines ? History and Mystery - What are Ley Lines ? 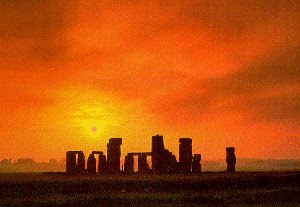 To New Age thinkers, Ley lines are “sacred” alignments of ancient sites and religious places on an imaginary line. They believed by these lines hold significant and magical powers, and seemingly connects these important sites over large geographical regions. To professional archeologists, researchers and scientists, ley line is an example of junk science. Later, he studied a map of the region and discovered he could draw a straight line to every site in the region. He called these lines “ley” which means “clearing” due mainly to the fact that the original lines he spotted were physically clear paths that could be seen from a certain height. He surmised that he had discovered ancient trade routes. However, his discovery would lead others who read his book to come up with different conclusions. New Age occultists, dowsers, and ufologists have made claims that these lines hold mysterious energy. Many of these groups believe that these lines have magic qualities to them. Some even speculate that they attract aliens in their UFOS. 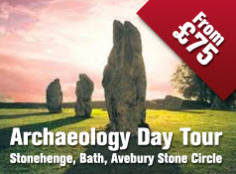 The ley lines have been expanded beyond England’s ancient ruins. In some cases geological sites around the world are included. Mt. Everest, Ayers Rock in Australia, the Great Pyramid of Giza, Sedona in Arizona, and Mutiny Bay are among the places believed to have special powers created by the ley lines. Many within the New Age groups believe that these lines not only connect religious sites with each other; they connect areas of abnormal anomalies in the magnetic field. As to what these powers can do is uncertain. Some claim it improves health while others believe they’re portals to other universes. Despite the claims, however, there’s no hard evidence that such powers on these line exist. No scientific studies or evidence has ever shown that magnetic anomalies existed in these areas, either. 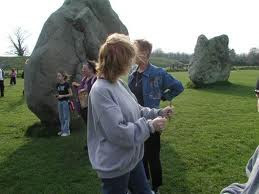 Still, despite the lack of evidence, there are many who claim they have solved the mystery of the ley line. An example was the New Age group called the Geo Group. They were paid £8,000 by the Seattle Arts Commission to do a ley line map of Seattle. The group used a photograph that resembled a hybrid satellite photo of the city. The group claimed it confirmed that Seattle was in tune with its ley-line system. Finally, ley lines have gone beyond its origin and have been used to explain other ancient concepts such as the Chinese belief in Feng shui, and the Nazca Lines in Peru. Watkins’s original concept may have been the most plausible explanation for these lines – if they truly existed. However, the lines have come have a unique meaning to those who believe in it.